This is more for comical entertainment than anything; no real skill involved here. 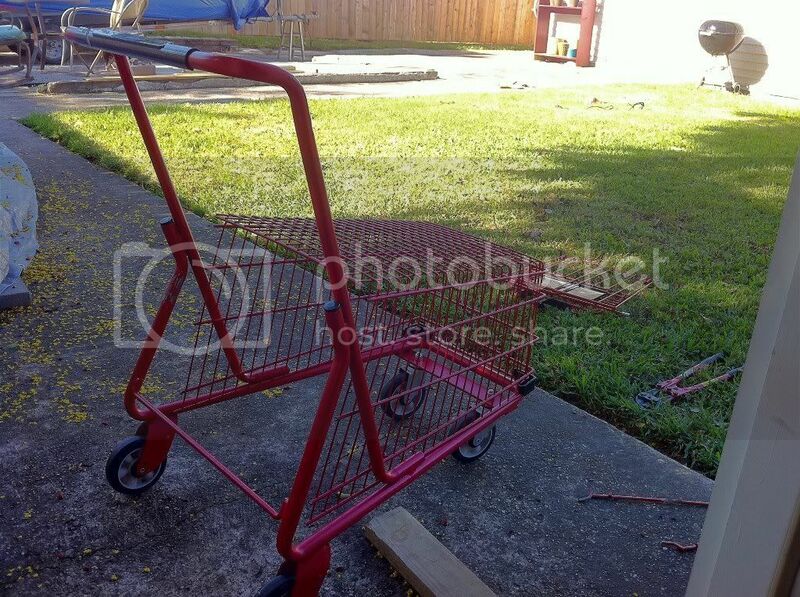 I found this decommissioned cart at a thrift store closing and picked it up cheap. I disassembled it with bolt cutters and a cut-off wheel on a 4.5" grinder. 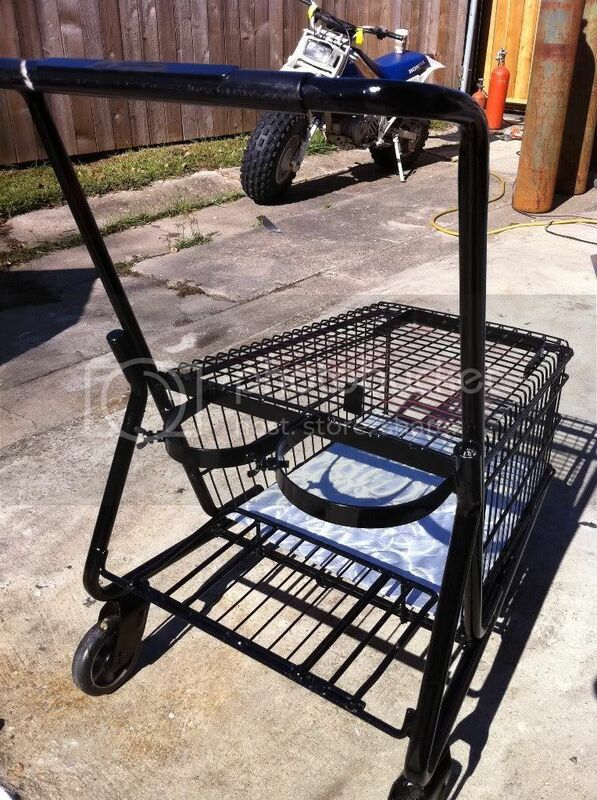 After a little rearranging and putting all the bits and pieces back together, I wound up with a pretty usable little cart that rolls along slicker than snot on a door knob. The has plenty of storage room underneath. I made loops for the bottles and put little bolts with wing nuts to keep them from rattling around (I hate that). The little bottle is argon and the bigger bottle is tri-mix. I have bulk bottles to refill from or use while in the shed, but pushing the little 211 around is a nice way to work. I know the idea isn't original, but I thought it would give a few laughs. 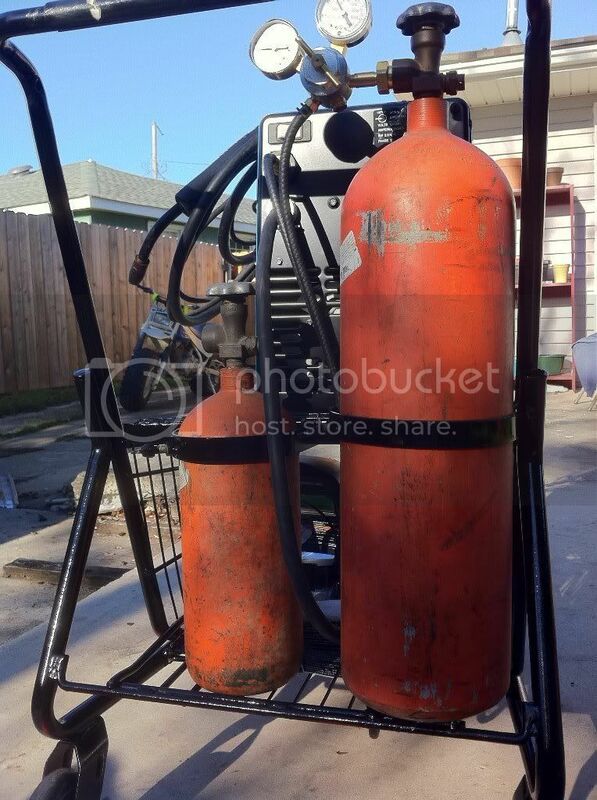 And yes, those cylinders are empty... about to take them all in for a re-hydro. 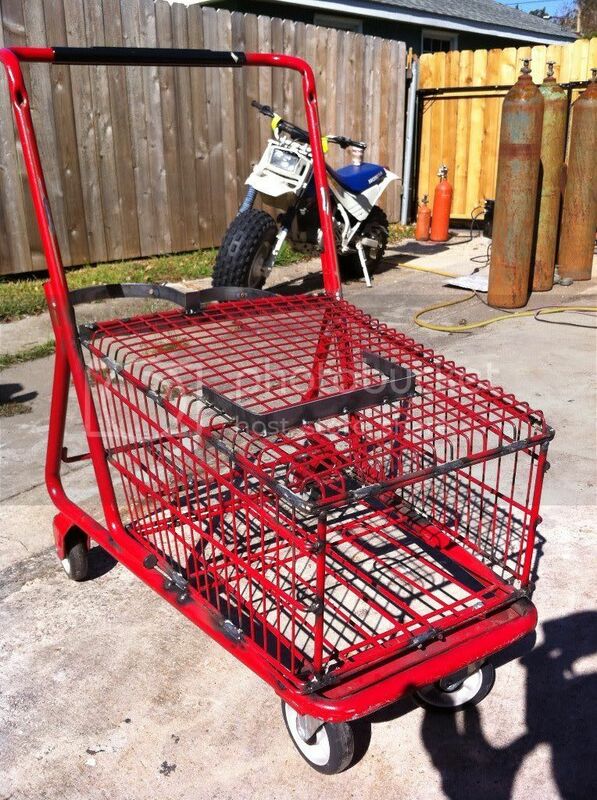 Very nice job, and a nice reuse of a shopping cart. Wow! 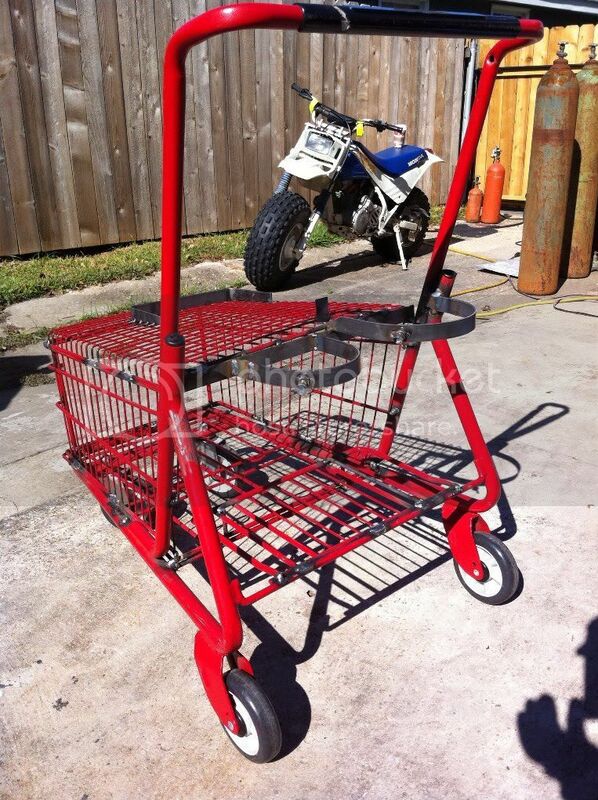 That's a great use of a cast off shopping cart. Great job! This was made in a hurry one night, worked so well used it for a long time. A lot of memories on one of those old Honda Fatcats! Fun on the beach at Dad's Camp at the mouth of the Klamath in California. After seeing your post I was inspired !!!! Even though it was a simple project in your mind .. it got my gears turning . 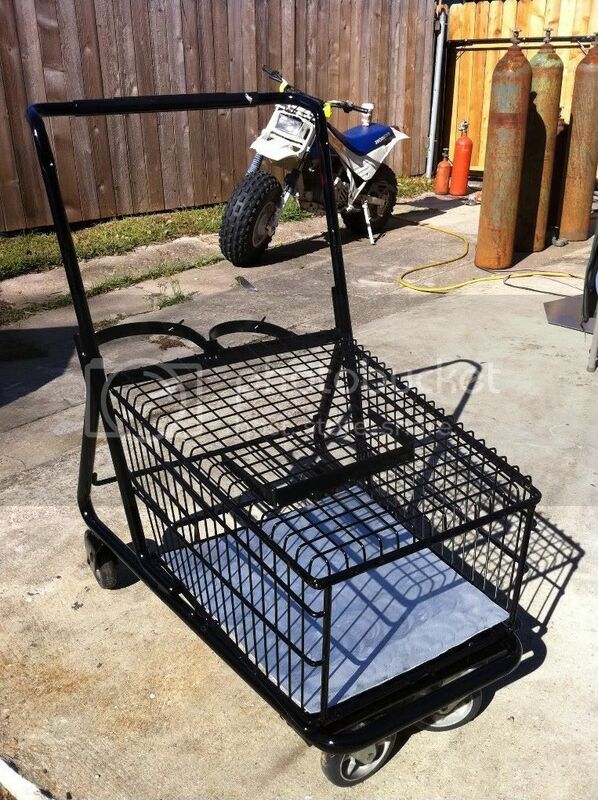 What a great idea .. the carts have all you need as far as a frame and wheels .. and if you can get them free or close to it .. bonus . 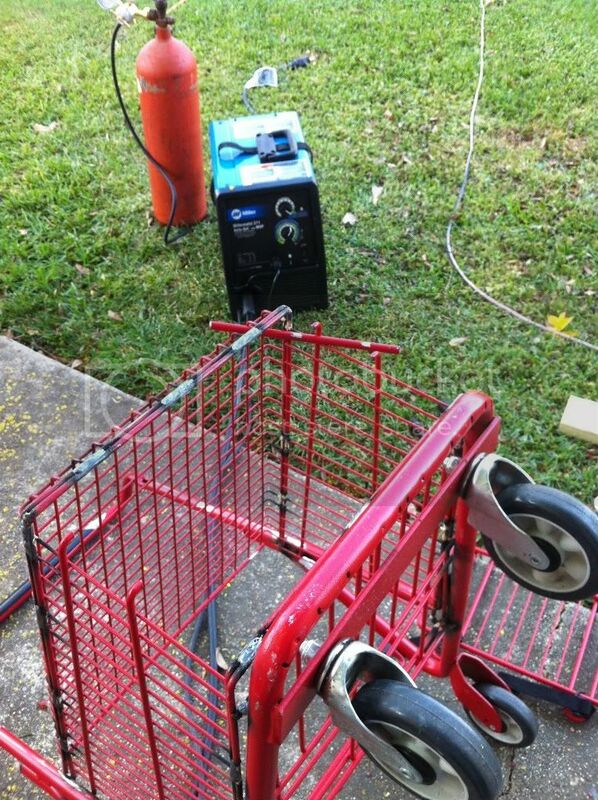 well anyway I took a drive to my local Kroger and went to look out back where all stores keep there broken and abused carts .. sure enough there were several . I was looking for a small unit and low and behold there was one with a broken weld than i knew they would not repair . so I asked the manager and explained it had broken welds and would may not be serviced ,such as just fixing a wheel .. remember to be nice when asking .. he said I could have it ... I said I would be glad to take it .. so he met me out back .. and off to home me and this little gem went . 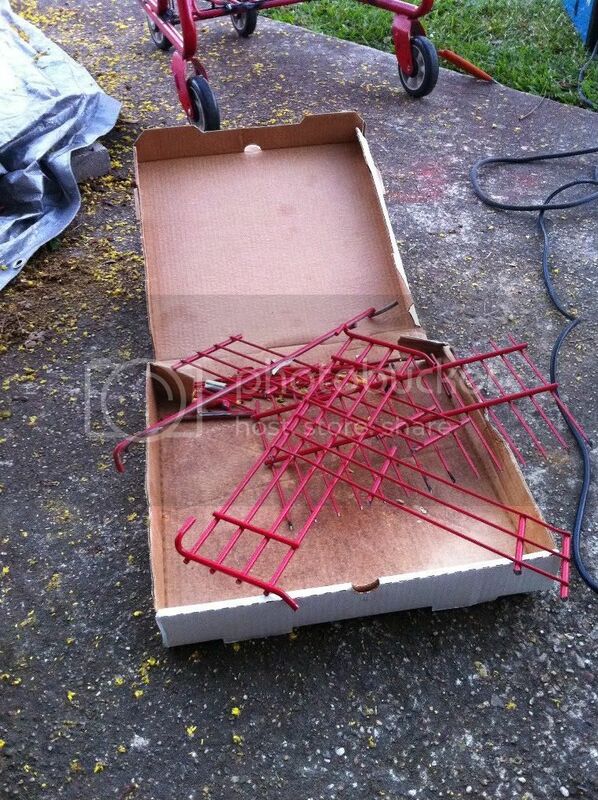 well first thing to do was break out the 4 inch grinder with the cut off wheel and cut the baskets off ... I had thought of just doing a little trimming here and there , but changed my mind after looking at what materials I had to work with and wanted to do a bit custom job .. lol ... After all the frame and wheels are really good .. and free to boot . so about 4 hours later here she sits .. a few add on's will be in order to hang hose and such ... but all and all I like it.. rolls smooth and easy . thanks Lindley for the inspiration . Last edited by Alumitech; 12-28-2010, 01:50 AM. Very clever! Thanks for the great idea. But those unsecured tanks with no caps in the background give me the willies if little ones are around!! Last edited by nedster; 01-14-2011, 08:44 PM. Great imagination, great re purposing! It's nice to see your sequence of pictures as the project unfolds. We really get to see the imagination at work. These are the poster projects for this type of machine and crowd. All the light scrap in the world makes for cheap fab work, the 211 is born for it. Every day I make something from something else. Sometimes it can be a success for the day when things are crap or even though it was a day of work I didn't have to buy expensive parts. I build a lot out of scrap but I do keep an eye on the economics, cost of materials and acquisition efforts can be expensive, I also buy a lot of stuff too. 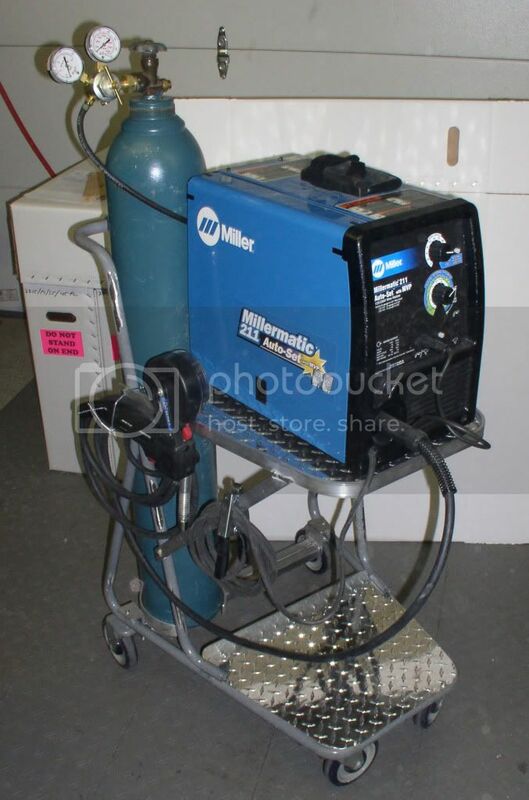 A good example,, a guy can buy a little sandblaster for 89$, unless he has the materials in his lap and its a long drive he cant make it for that if he has to buy anything. Mine was 800$ catalog + a few bucks shipping. Thats as cheap as I could do it, so I dodder around couple of days off and on and build one, including scrounging all the materials. If I didn't have 2 days and the materials + the ability I would have looked at the cost differently but I put 400 a day in my pocket for the first 2 days of a week not including overhead it would have incurred to make 800, I would have had to go to work a week to clear the same effort. 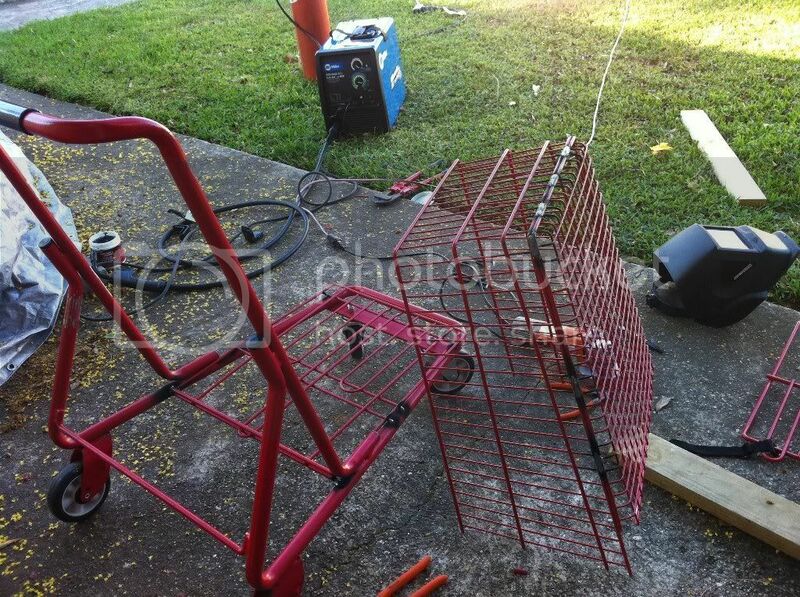 Back to the shopping cart welder cart, in a sense same great idea, got a custom cart for some labor but didn't insult the by throwing a couple hundred in materials at it. 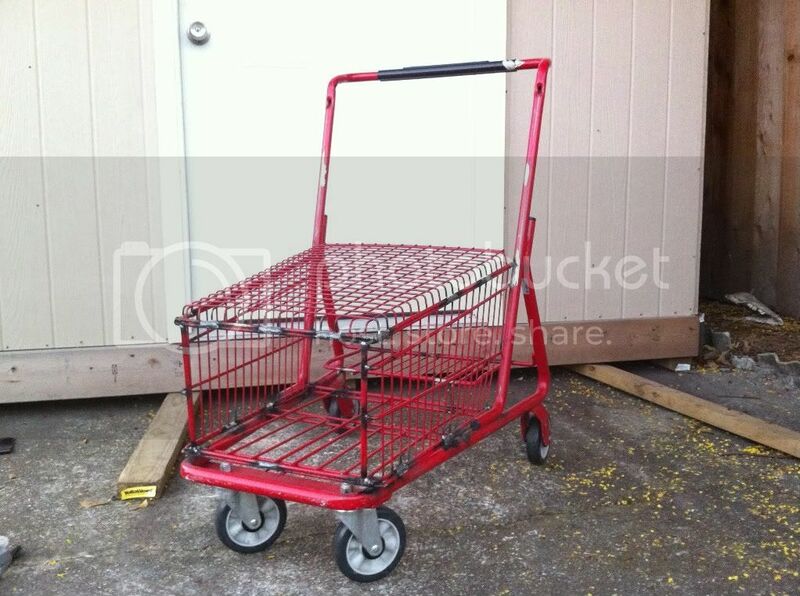 Wheels, steel, etc Heck I think a factory cart is near 100$ and certainly not as good as that. 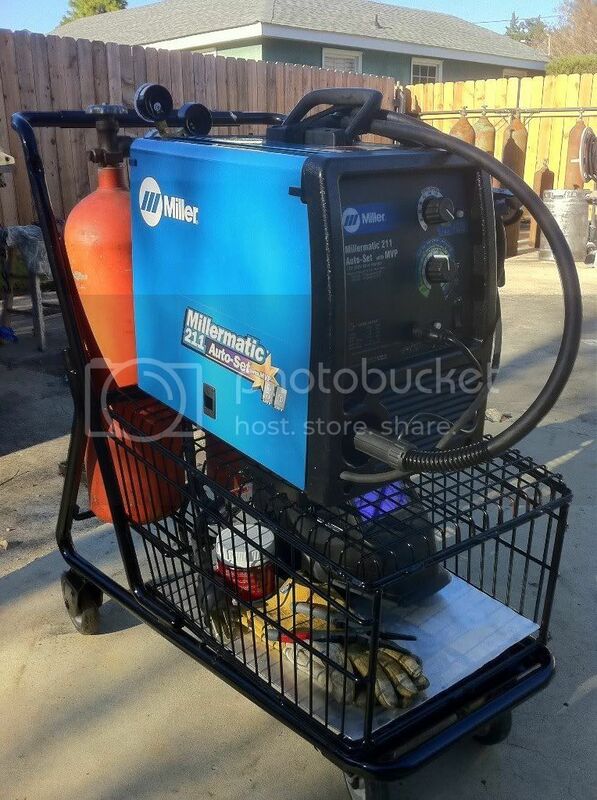 I do value my labor so getting most of it pre-engineered and free as well as the materials makes salvage scrap a good deal in many circumstances. I build a lot of things from raw material and from scratch over the years but more and more I look for anything I can modify. 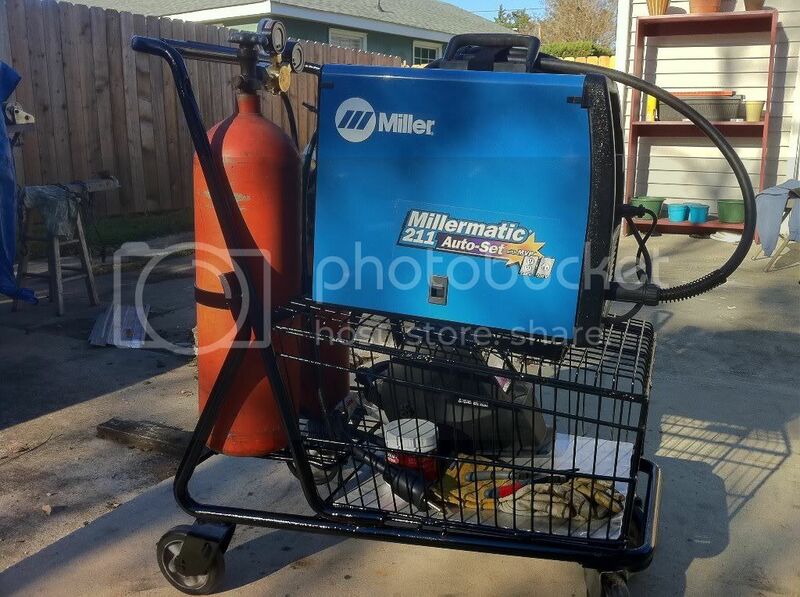 This is what I based some of that ramble on, not only is it satisfying but its an asset that would have been pricey, 150, maybe 200 for a cart that nice, made/saved 200 for the day of work (not including taxes, insurance, etc) . If your a brain surgeon and make 3 k a day then well,,, you got to do it for the satisfaction but for avg working class guy it has real net return.